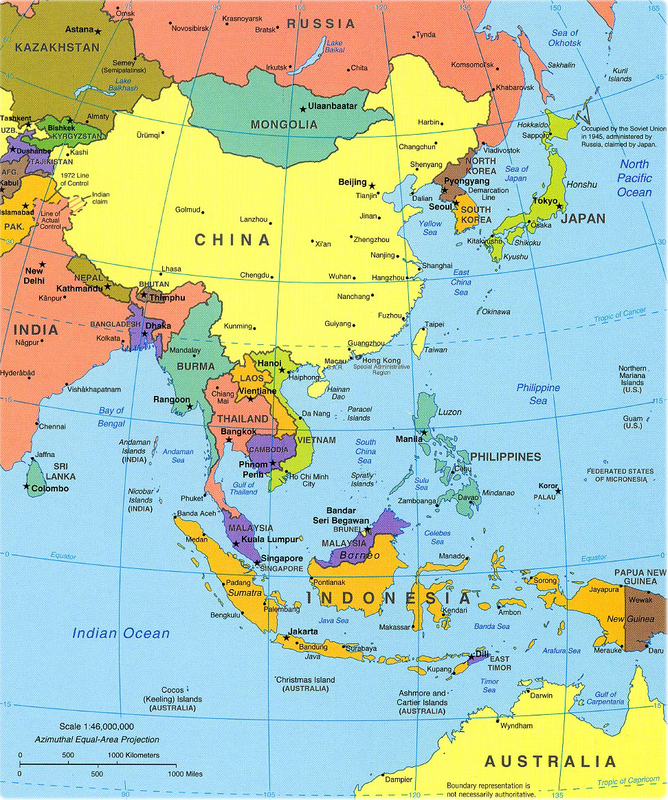 Copyright © Geographic Guide - Asia Maps of Countries, Thailand and Indonesia. Indian Ocean, Japan and Philippines Sea. Map: U.S. Central Intelligence Agency - 2004.